Discover the picturesque glaciers of the Arctic region on this 12-day cruise! 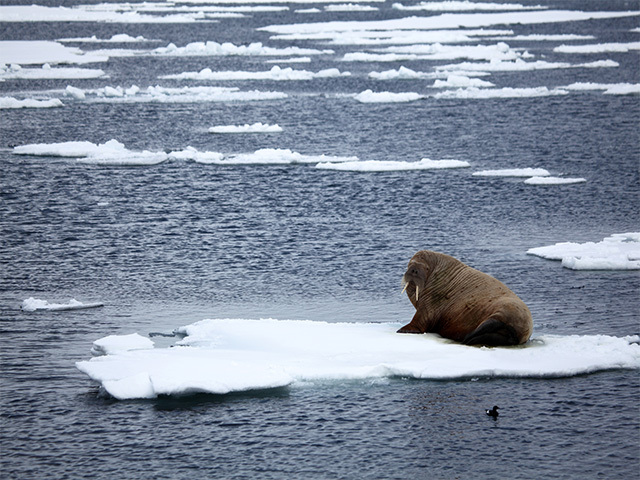 Travel to Spitsbergen - home to a variety of Walruses, Seals and Seabirds. Visit Ny Ålesund - the northernmost village in the world. Enjoy zodiac cruises, long walks, visits to historical whaling sites and lots more on this spectacular trip to North Spitsbergen! Today, we arrive at Longyearbyen, the ‘capital’ (actually the administrative centre) of Spitsbergen. After this you could opt to visit the Svalbard Museum, which has an interesting range of information on the history of Spitsbergen, the mining industry, as well as polar exploration. In the afternoon we sail, setting course for Alkhornet, a seabird cliff with a large colony of Kittiwakes. Below the cliffs is a den with Arctic Foxes which scavenge off fallen eggs and chicks. We continue to Trygghamna to visit the remains of a 17th century English whaling station and an 18th century Russian Pomor station. For the next eleven days our stay will be aboard the s/v 'Noorderlicht' , a schooner with a passenger capacity of 20. On day two, we leave Tryghamna early in the morning and sail through Forlandsundet. Forlandsundet is an 88 km long seaway separating Prins Karls Forland and Spitsbergen. Its northern limits are Fuglehuken to the west and Kvadehuken to the east. Its southern limits are Salpynten to the west and Daudmannsodden to the east. If the weather permits we will break our journey on water and stop at Fuglehuken, where the first Western Europeans (the expedition of Willem Barentsz) set foot on Spitsbergen. Here we can see the graves of whalers and visit colonies of Common Guillemots, Brünnich's Guillemots, Little Auks and Kittiwakes. 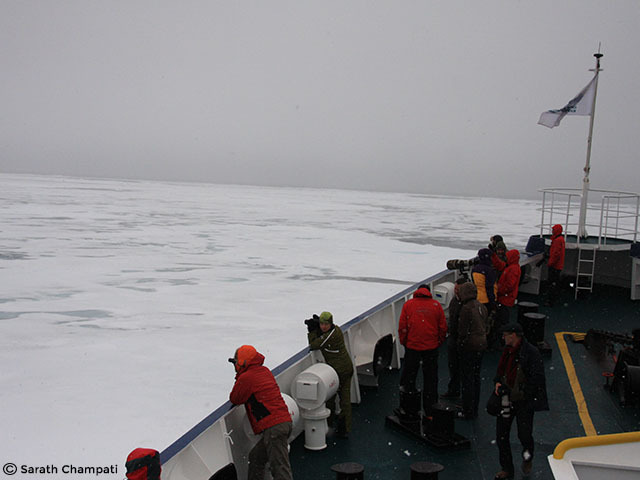 We may also visit a haul-out of Harbour Seals and Walruses. Today, we will visit Ny Ålesund, the northernmost permanently inhabited village in the world. Ny Ålesund is a centre for polar research and a former starting point for many North Pole expeditions (Amundsen and Nobile for example). The local bird life has adapted itself to human presence and is exceptionally tame. Barnacle Geese, Pink-footed Geese, Common Eiders, Arctic Terns and several species of Wader can be seen at close quarters. The Reindeers here are smaller than their mainland relatives and do not form large herds. In the morning on day four, we sail from Ny Ålesund to the 14th July Glacier where we cruise in zodiacs (small inflatable boats that have a capacity of around ten to eleven passengers). One can visit the breeding site for Brünnich’s Guillemots, Auks and Puffins not far from the glacier. One gets to see rich vegetation with many species of flowering plants here. 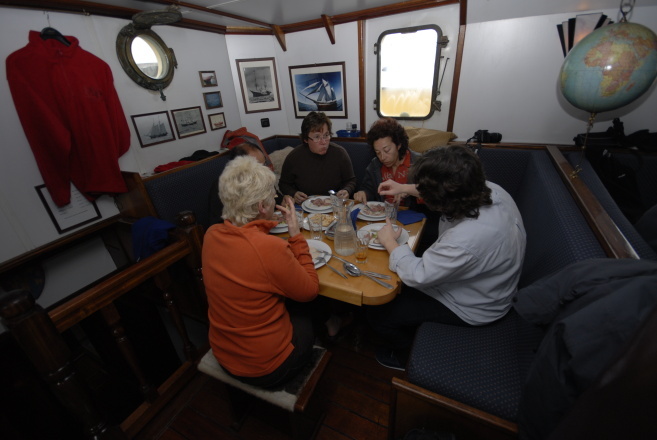 On day five, we sail northwards to visit the Magdalenafjord. This is one of the most beautiful places on Spitsbergen, with many impressive glacier fronts. During a shore visit, we will view the remains of 17th century English whaling activities. We can also visit some big seabird colonies, particularly noteworthy for their Little Auks. Today, we try to visit Ytre Norskøya, a small island which was used for many years as a lookout point for Dutch whalers. 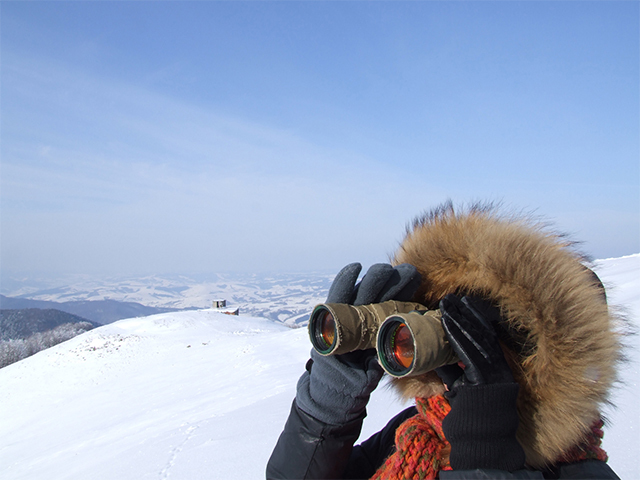 Here, we can still follow the tracks of the whalers to the summit of the island. En route, we pass excellent bird cliffs! On shore, the remains of 17th century blubber ovens can be found. In addition, one can also spot Arctic Skuas and Common Eiders breed among the graves of 200 Dutch whalers. Ytre Norskøya retains the remains of a whaling station that existed on the southern side of the island; possibly rivaling Smeerenburg in size. It was Europe's northernmost outpost ever established until the early 19th century, and the most northerly permanent settlement established of any size until the 1950s. The station had as many as nine tryworks, some having a single furnace, others having two. To the west of these structures were buildings used by the men working ashore. Further west is found one of the largest grave sites in Spitsbergen, where 165 graves have been found. The station was abandoned in 1670. On day seven, we reach Raudfjord on the north coast of Spitsbergen. This is a beautiful fjord with spectacular glaciers. It is home to Ringed and Bearded Seals, has seabird colonies, surprisingly rich vegetation and offers a good chance to see Polar Bears and Belugas (for example, near Hamilton Glacier or more towards the head of the fjord). Don’t miss paying a visit to Jermaktangen, at the fjord’s eastern entrance- a geography lesson in the erosion of the land by the sea! If sea-ice conditions allow, we may land on the northern-side of Reindyrfla, the largest tundra area of Spitsbergen. The vast undulating plain is a good grazing area for Reindeers and several species of Waders also breed here. The area’s lakes offer a good chance to spotting Red-throated Divers and King Eiders. Today we visit the remains of Smeerenburg, the largest 17th century whaling settlement of Spitsbergen. If we obtain permission, we may also visit Danskøya where many historical remains are to be found of the 19th century expedition by the Swedish explorer Andree, who tried to reach the North Pole in a balloon. Over the next two days, we make our way south. We will try to make a landing on the coast of the Forlandsundet at Engelsbukta or Sarstangen or Poolepynten, where Walruses are often hauled out. From here we head straight for Longyearbyen. However, if time permits we could break our journey at Colesbukta, an abandoned Russian coal mining settlement. For the walking enthusiasts, this stop provides an opportunity to walk it to Longyearbyen in six hours! This is the last day of the arctic adventure tour. We leave to Oslo, by flight, from Longyearbyen. Please Note: A typical itinerary to the Arctic and North Atlantic Islands could be as above and should be treated as a guide only, not an exact program. Flexibility is the key to all our cruises and our exact route and program will depend on such factors as weather conditions, wildlife encounters, the experience of the expedition leader and the advice of the vessel's captain and crew. On Spitsbergen voyages: Transfers and baggage handling between the airport, hotels and the vessel are included only for those passengers on the group flights to and from Longyearbyen.